From October 4th – 6th, Audemars Piguet’s suite at the international luxury watch fair, SIAR, will be transformed into a living forest….in the heart of Mexico City. SIAR is the most important luxury watch tradeshow in Latin America, and this marks Audemars Piguet’s fifth year of participation. This year, to celebrate AP’s membership in Patagonia Sur’s Corporate Conservation Circle (C3), AP is offsetting the carbon footprint generated by the production of their suite, and is also planting three native-species trees on behalf of each visitor to AP’s suite. 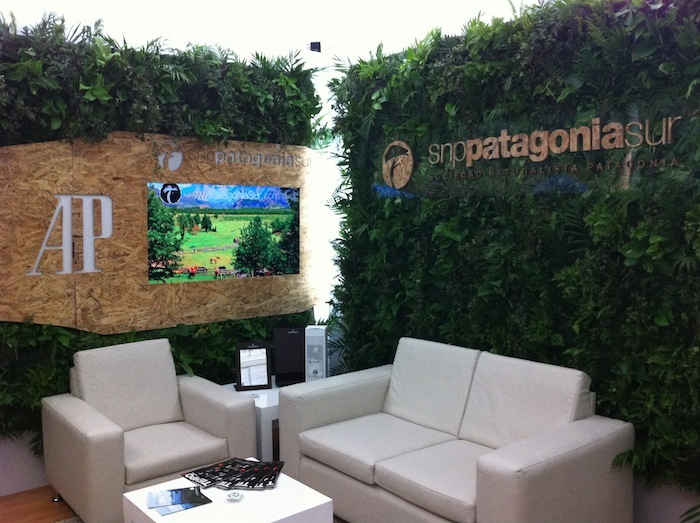 One of the salons within AP’s show suite is dedicated to Audemars Piguet’s partnership with Patagonia Sur, and features eco décor, walls made of live plants, waterfalls, and a video highlighting Patagonia Sur’s Reforestation & Biodiversity Project. This initiative with Patagonia Sur is in keeping with the mission of the Audemars Piguet Foundation, which has invested in social and environmental projects in thirty countries, including reforestation in Switzerland, since 1992. Respect for the environment, commitment to sustainable development, and educational support for a new generation were the pillars upon which the long-term partnership between Audemars Piguet and Patagonia Sur was established. One of the tangible results of this partnership is the creation of the Audemars Piguet Forest. The AP Forest will further Patagonia Sur’s Reforestation & Biodiversity Project by adding 14-acres to the 1,000+ acres Patagonia Sur has already reforested and conserved. AP’s forest will be planted with more than 7,500 native-species trees, which will remove 2,500 tons of carbon dioxide from the atmosphere.